In association with Peganum Books, Leaf Garden Press is proud to simultaneously present two books from the same author. From the late Pyotr Patrushev comes two extremely insightful volumes. 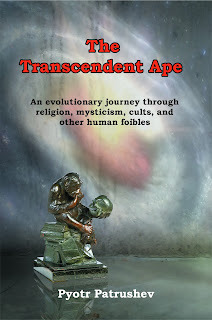 First, The Transcendent Ape, a study of evolution and the human condition. 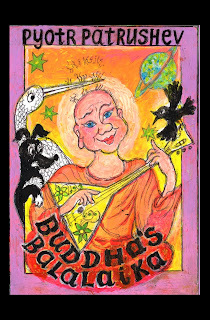 Second, Buddha's Balalaika, a collection of his humorous satire, essays, reflection on life in Russia, and his poetry all in one place. For those unfamiliar with Pyotr, I strongly recommend introducing yourself by watching a short documentary series about his swim from the Soviet Union to Turkey in search of his freedom. And of course, pick up these books and Project Nirvana: How The War On Drugs Was Won, a novel published by Leaf Garden Press a few years back. Get The Daily Thanthi Newspaper Tender Notice Ad rates, rate card, tariff and discounted packages to book Tender or Public Notice Advertisement for The Daily Thanthi at lowest rates through Eumaxindia.